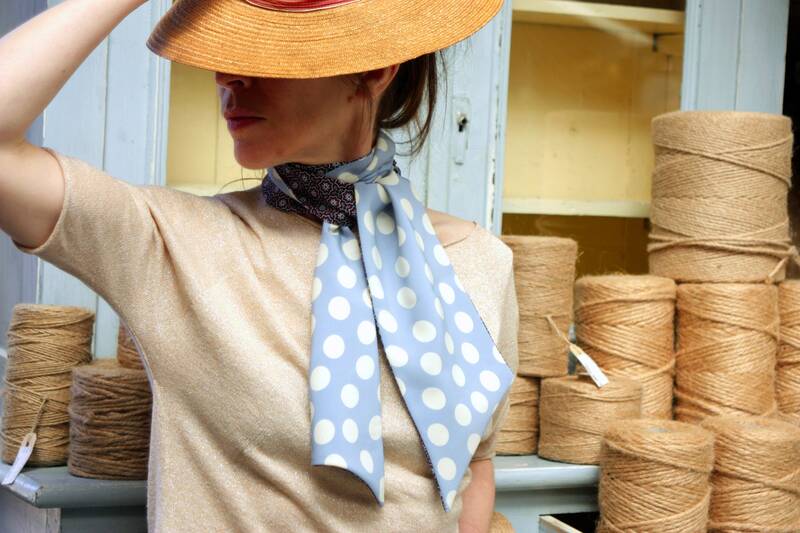 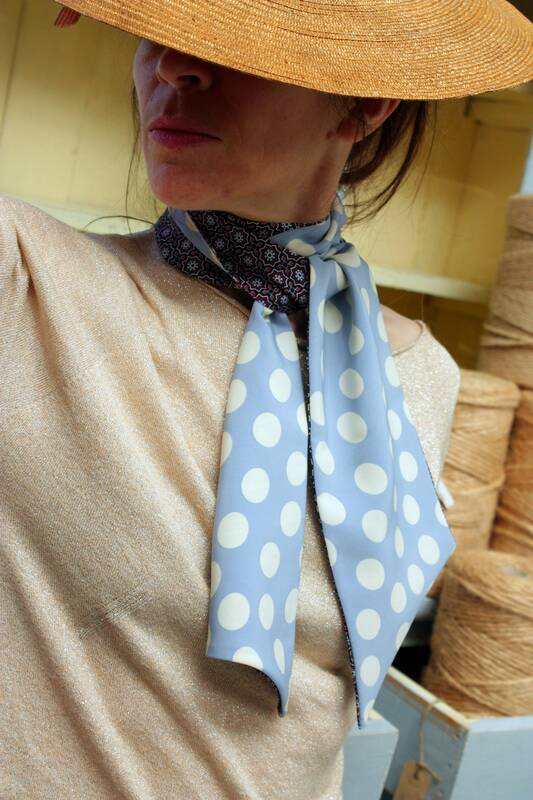 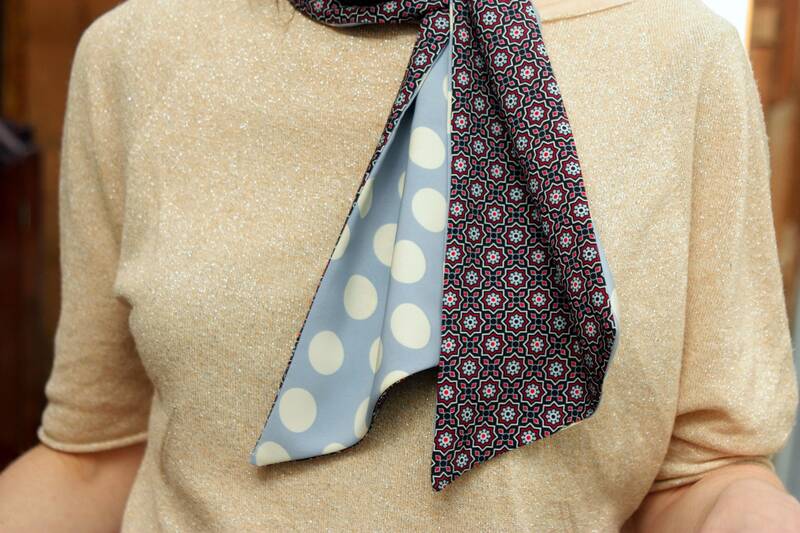 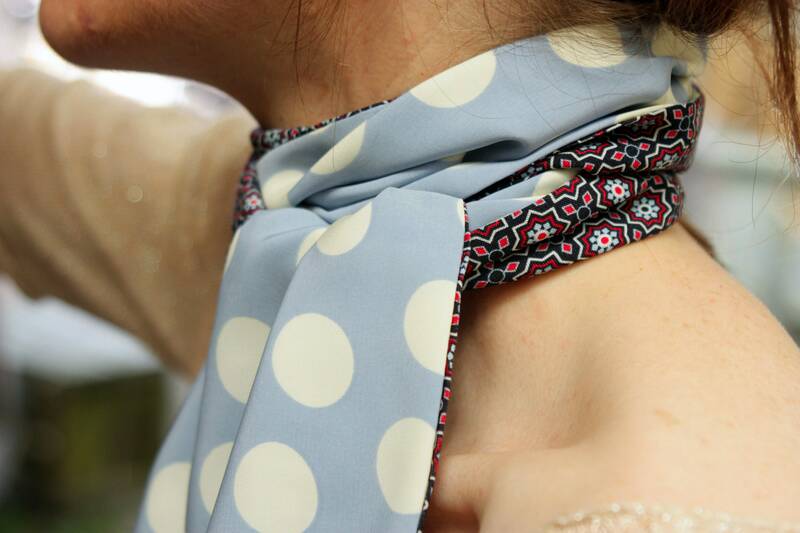 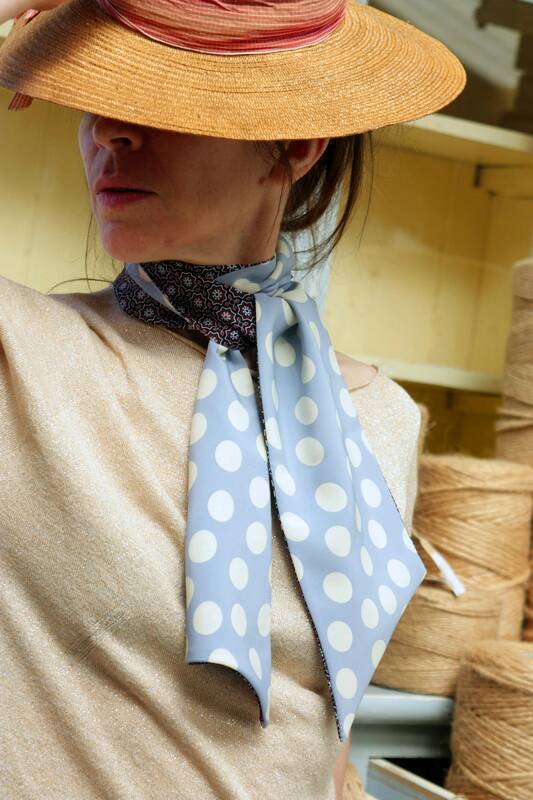 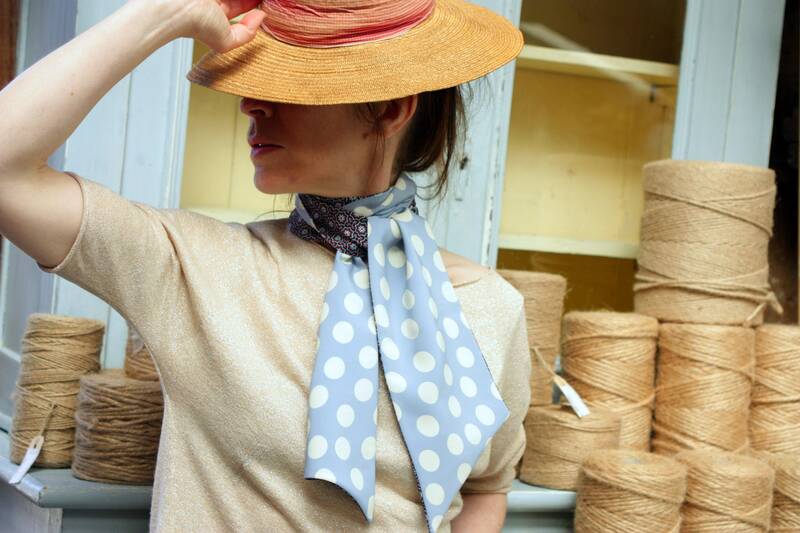 Made in 2 different fabrics, two-tone sky blue with cream polka dots, viscose. 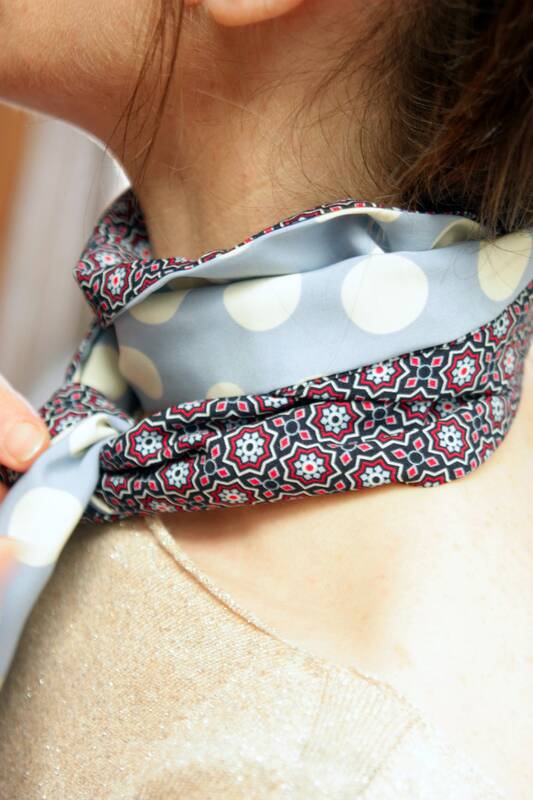 can be worn knotted, detached whichever style you would like. 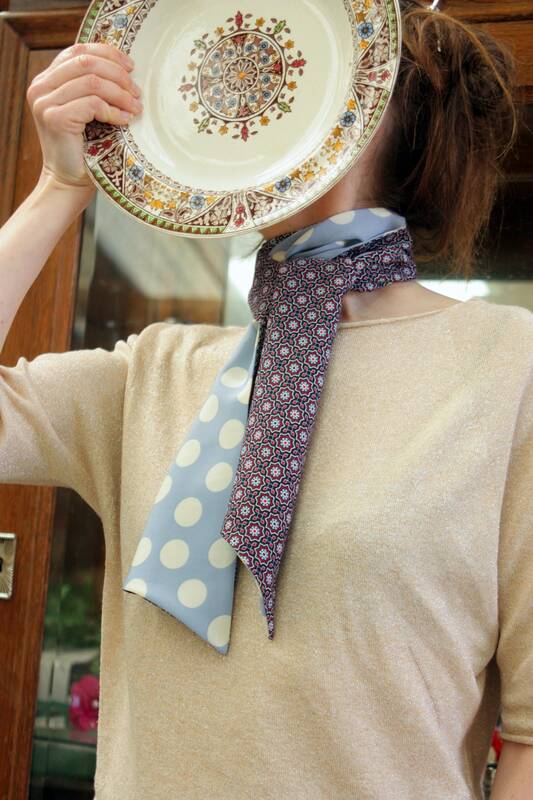 perfect accessory to complete an outfit. 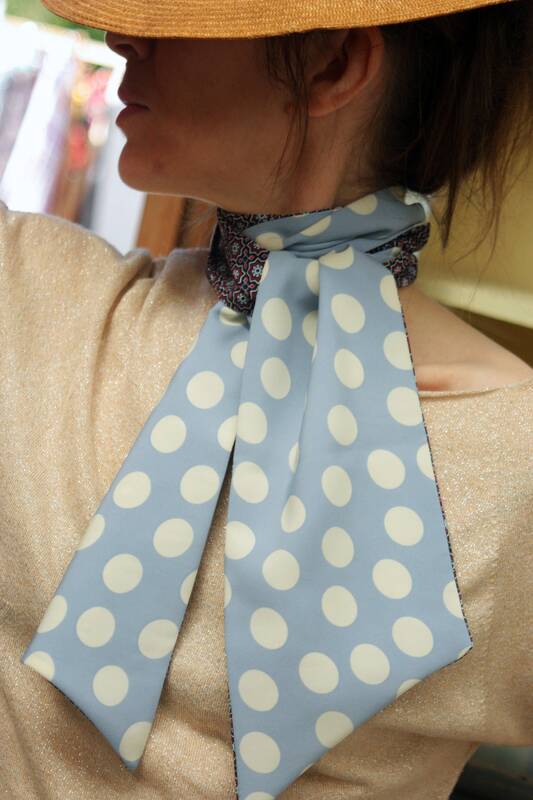 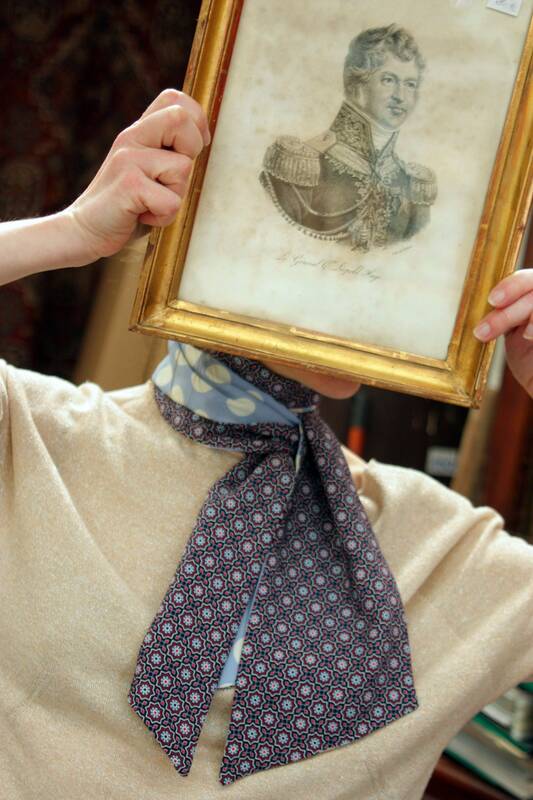 Can also be worn as a headband, scarf.